Top-notch Support Services in all aspects of Immigration Law. United States Citizenship and Immigration Services (“USCIS”) which oversees lawful Immigration to the United States. Customs and Border Protection (“CBP”) which regulates and facilitates international trade, collects import duties and enforces U.S. regulations including trade, customs and Immigration. In addition, Immigration attorneys file applications and interact with the Department of State, which issues visas, and the U.S. Department of Labor (“DOL”), which scrutinizes the recruitment and job-hiring processes for immigrant and non-immigrant visas, and reviews for compliance with U.S. Labor laws. There are numerous ways in which undocumented individuals can find themselves to be the subject of Deportation proceedings like traffic violations by an undocumented person, being convicted of a felony or crime, committing marriage fraud to obtain Green Card, falsely representing yourself as a citizen, etc. The procedures in avoiding deportation are complex. We have a team of dedicated lawyers working in this field for over 7 years. 4. Immigration Support Services regarding Temporary Visas for Business, Travel, Education, etc. – Processing Visa and Asylum Applications. SKJ Juris, Inc. is incorporated and headquartered in New Jersey in the year 2010. SKJ Juris provides high quality and low cost legal and allied support services to attorneys, law firms and corporations across the globe in a data secured environment. SKJ Juris provides core support services such as lease abstraction, litigation support and immigration support services. Disclaimer: SKJ Juris is not a Law Firm and is engaged in providing only Legal Support services. Vice-President, UK Operations, London, UK. Jonathan studied at the University of Bristol and the College of Law. Jonathan now works as a corporate & commercial solicitor and has broad experience across a range of practice areas and industry sectors. Jonathan specializes in coordinating complex cross-border transactions and technology law. 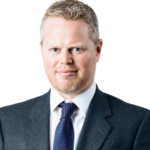 Jonathan qualified with the leading international law firm Clyde & Co and has since worked for a number of well known UK firms. Jonathan lives in London and is one of the most connected lawyers in the UK, having built large and influential communities around his on-line social networks. Vladimir has received a J.D. from Stanford University. Vladimir previously practiced corporate, securities and intellectual property law at the Venture Law Group, Wilson Sonsini Goodrich & Rosati and Baker & McKenzie, advising clients on matters including buy- and sell-side M&A, corporate restructuring, intellectual property purchase and joint-venturing transactions. Vladimir is experienced at managing complex, multi-jurisdictional M&A due diligence review and contract analysis on domestic and cross-border engagements. Prior to practicing law, Vladimir was an international marketing researcher, a strategic planner at Sony. Vladimir lives in Palo Alto, CA. Saby is a law graduate from Law Faculty, University of Delhi, India. Saby specializes in corporate law, commercial law, and cross-border transactions. Saby was a litigator in High Court and tribunals of Delhi for 14 years. Saby has acted as a LPO consultant for various US and UK clients and also worked in managerial capacities in two major Indian LPOs for 11 years. 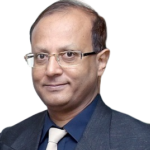 Saby is a designated arbitrator of Indian Council of Arbitration and International Center for Alternative Disputes Resolution, New Delhi, India. 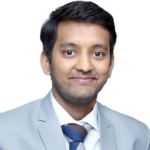 Pankaj is a law graduate from Indian Law Society, University of Pune, India and has pursued Masters in International Economic Law (LL.M) from University of Warwick, United Kingdom. Pankaj specializes in corporate law and intellectual property law. Pankaj has acted as a counsel for 6 years in civil litigation and has worked in various joint venture assignments and corporate transactions. Pankaj is a registered trademark attorney. John Gonzales has graduated from Capital Law in 1987 and began his practice at Crabbe Brown Jones Potts & Schmidt. From 1994 to 1999, John worked at Plymale & Associates representing plaintiffs in personal injury and wrongful death matters where he won the largest verdict recorded in Pickaway County. From 2000 to 2008, John operated his own firm in Westerville before becoming a principal in the Behal Law Group. 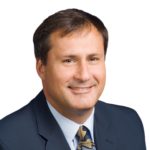 He is an experienced civil trial lawyer who has litigated more than 100 trials in over 25 years of practice in Central Ohio. He has represented both plaintiffs and defendants at all levels of Ohio’s state and federal courts and has served as a mediator in hundreds of cases. His trial experience includes everything from business and transactional disputes to serious injury and wrongful death cases. Anshuman Sehgal is a qualified Certified Public Accountant and is a member of the American Institute of Certified Public Accountants. Anshuman is also a Fellow Chartered Accountant and is a member of Institute of Chartered Accountants of India. Anshuman specializes in small to medium size business accounting & tax planning, audits of start-ups in the Silicon Valley and non-profit organizations, SEC filings, consolidation, process improvement initiatives, SAP implementation, and KPI analysis. Anshuman provides accounting, taxation and consulting services to small & medium size businesses, audits of corporations and non-profit organizations, and also provides profit improvement analysis, project financing, tax planning and payroll services. Anshuman lives in Roselle, New Jersey. Chelsea Wang is a graduate of the University of California, Davis with double degrees in Bachelor of Science and Art in Biochemistry and Philosophy, and received her Juris Doctorate from Santa Clara University School of Law, California with High-Tech Law Certificate. She is a business immigration attorney, the founding partner of Oasis Law Group with its principal office in San Francisco, California. Chelsea specializes in business immigration in the areas of investment immigration, employment immigration and work-related temporary visas. Prior to founding Oasis Law Group, Chelsea served as In-House Counsel for over six years providing services in commercial real estate acquisition and contract negotiation. Chelsea has been a licensed California real estate broker for five years specializing in commercial real estate in the areas of hotel acquisition and foreign investment development projects. Nancy Lewellen has her under graduation and MBA from U.C. Berkeley and her Juris Doctorate with International Law and Public Interest Law Certificates from Santa Clara University. Nancy is a real estate, business and international law attorney, a California licensed real estate and mortgage broker, and managing partner of the Palladian Law Group. She practices arbitration, mediation and transactional work. She has interned with the UN in Geneva, Switzerland. Nancy previously held lending and credit policy positions with three major banks for nineteen years, and had her own commercial mortgage and residential mortgage brokerage firms for ten years prior to law school.